In this chapter, we examine an English-speaking Caribbean multilingual teacher's response to linguistic diversity by exploring his linguistic and literate experiences and responses to language in various geographical and social contexts. 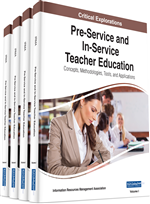 Through in-depth semi-structured topical interviews, we identified three distinct recursive “pathways” representative of the teacher's experiences. These pathways constituted his processes of attitude transformation, strategy use, and identity formation. The findings highlight the need for further exploration of multilingual teachers' linguistic diversity and indicate the need to examine teachers' capacity to respond to linguistic and cultural diversity based on their personal experiences. The continued growth of ethnically, culturally, and linguistically diverse student populations across the globe increasingly requires teachers to embrace multicultural pedagogy and develop a philosophy that embraces diversity (Delpit, 2006; Gay, 2010; Grant & Gibson, 2011; Grant & Wieczorek, 2000; Ladson-Billings, 2011; Sleeter & Milner, 2011; Smith, 2013). In Minority World contexts such as the United States, continued debate surrounds the capacity of teachers to meet the needs of culturally and linguistically diverse learners where monolingualism functions as the norm and where Standard English functions as the target language in schools. One remedy for this situation has been found in calls to recruit teachers whose cultural and linguistic backgrounds differ from those typically found in mainstream schools (e.g., United States; Lowenstein, 2009). In recruiting international teachers, the expectation is that their diverse backgrounds would enable them to be naturally capable of meeting the needs of linguistically and culturally diverse learners. But international teachers possess their own worldviews, backgrounds, and predispositions towards language and culture. And many, such as those who come from Majority World countries, such as South Africa, Latin America and the Caribbean, have ingrained ideologies concerning language (Yiakoumetti & Mina, 2013), and specifically, English and World Englishes, that directly impact their responses to standard and non-standard languages in their pedagogical practice. The literature is clear that a teacher’s success rests not only in his or her racial and ethnic orientation, but also in the predisposition to understand and know students and their culture; be thoroughly familiar with subject matter in the content areas; and be cognizant of required professional roles and responsibilities (McAllister & Irvine, 2000; Sleeter, 1992). Evidence in the research suggests that culturally responsive teachers must develop multicultural awareness by becoming multicultural individuals who are knowledgeable about people and events unfamiliar to them, aware of individual predispositions to racism and biased views, and adopt a view of the world that incorporates varying perspectives (Nieto, 2004); become aware of other cultures, knowledgeable about multiple cultures, and develop skills needed to utilize the knowledge and awareness gained of multiple cultures (Pedersen, 1988). The research also shows that linguistically responsive teachers must have a thorough knowledge of students’ cultural and linguistic diversity (Au, 2000); be aware of differences in conversational and academic language proficiency (Cummins, 2008); understand the challenges faced in the social (Wong-Fillmore & Snow, 2005), political and economic contexts in which the English language is used (Fairclough, 1999); develop multilingual (Garcia, 2008; Paccione, 2000) and language awareness through knowledge of, about, and for teaching language (Andrews, 2001; Lucas, Villegas, & Freedson-Gonzales, 2008; Wright, 2002); effect linguistically responsive pedagogy through attending to linguistic form and function (Gass, 1997); and maintain a welcoming and comfortable classroom learning environment (Krashen, 2003).